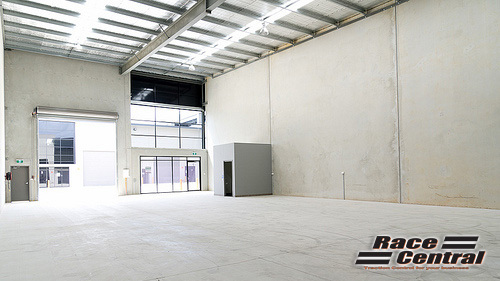 Here’s an unique opportunity to put your business at Sydney’s Motorsport hub in a brand new and modern warehouse / factory unit and offices trackside to Eastern Creek Raceway. Set on a 6300msq block, Race Central has a major presence and exposure on both Peter Brock Drive and M4 Motorway and Eastern Creek Raceway. Secure complex with 24 hour security video monitoring, automatic entry gates into the Race Central complex car park. Large air-conditioned offices over looking Eastern Creek Raceway with open entertaining deck. Access to major roads – M7 and M4 motorways. Arguably Sydney’s most central industrial location linking into Sydney orbital motorway network. Bordering Eastern Creek International Raceway and close to Sydney Dragway, Eastern Creek Karts, and Chifley Hotel. See map. To find out more contact Robert on 0428 644 614 or email info@racecentral.net.au.